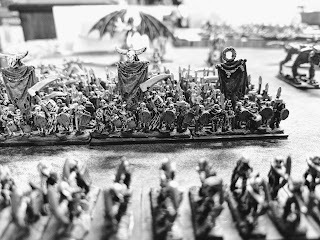 Monthly Muse is something I've been thinking about the last few weeks as a way to highlight some useful hobby tip or just something random I came across and thought was interesting or stood out over the past month. 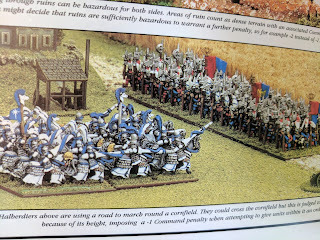 For this first installment let's take a look at a couple new unboxings from the month, a great time saving tool, making up for an event I meant to take part in then totally missed, and lastly, highlighting some useful stuff from the March White Dwarf. 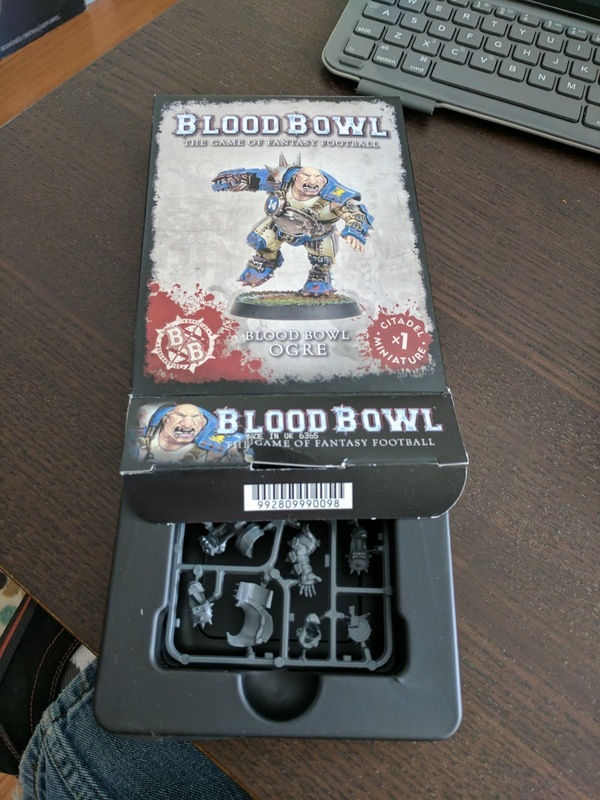 First up is the Blood Bowl Ogre I'll be painting up to go with my Human Team. I really like the packaging for this kit. 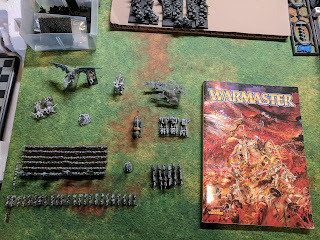 The sprue is held securely in the center of the box protecting against delicate bits getting broken off if the box takes a bad fall. 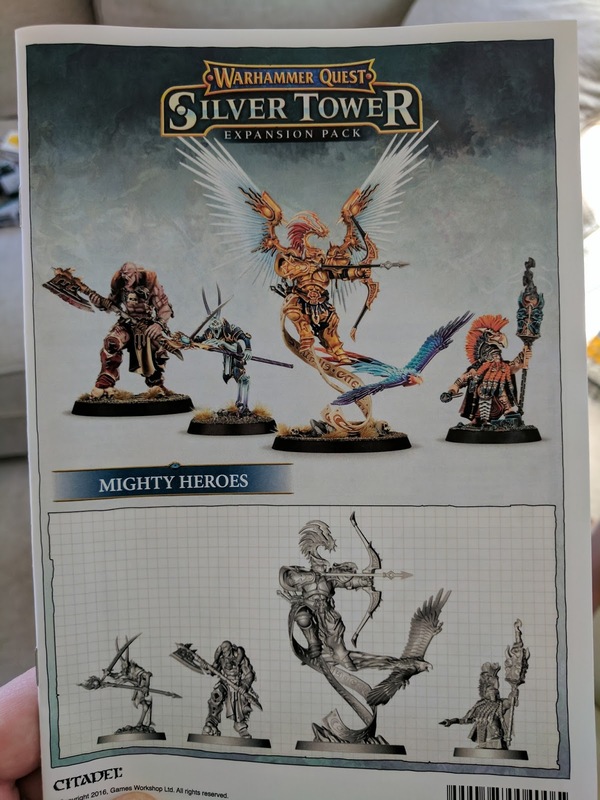 While not necessarily a new kit, it's new to me this month, is the Mighty Heroes Warhammer Quest Silver Tower Expansion Pack. 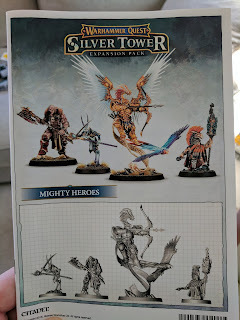 It was a cost-effective way to acquire a Knight-Venator as I can also make use of the Auric Runemaster and Slaughterpriest; and I'm sure I can find a use for that Tzeentch Lord... 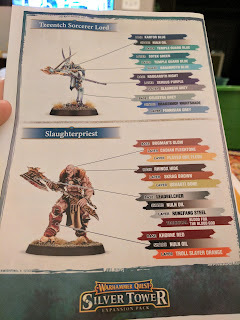 But anyway, what struck me with this kit is the excellent assembly instructions and the new Citadel Paint System color summary charts. This is really helpful for those just starting out (and for those who have been in the hobby for awhile, as you'll see a bit later) to know what paints you'll need for a particular area or effect. 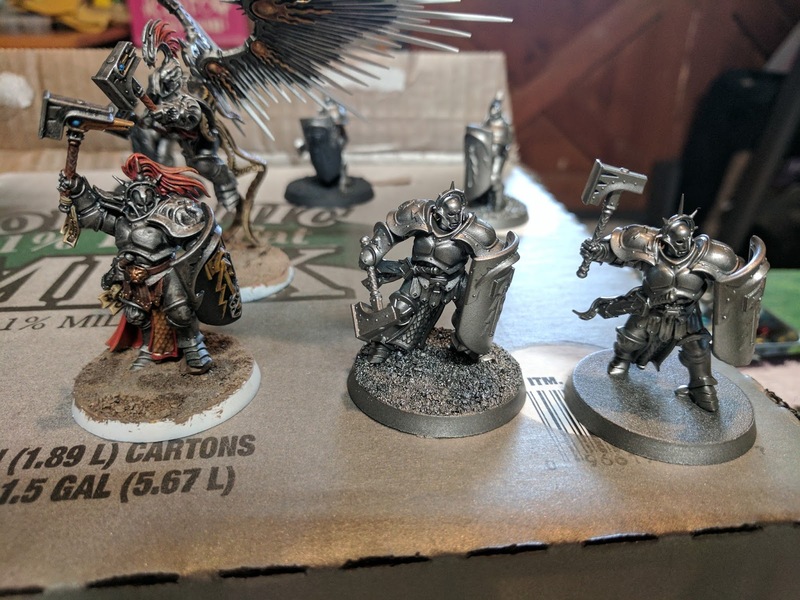 The next useful tool I discovered this month, or finally got around to giving a try rather, is the new Citadel base layer spray cans. 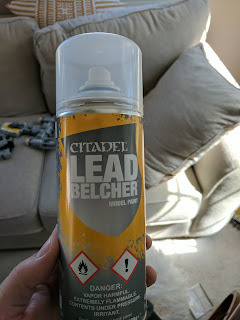 I tried out Lead Belcher in hopes that this step saves me a bunch of time in prep work with my Stormcast Eternals. I think this will definitely save me some time early in the painting process! 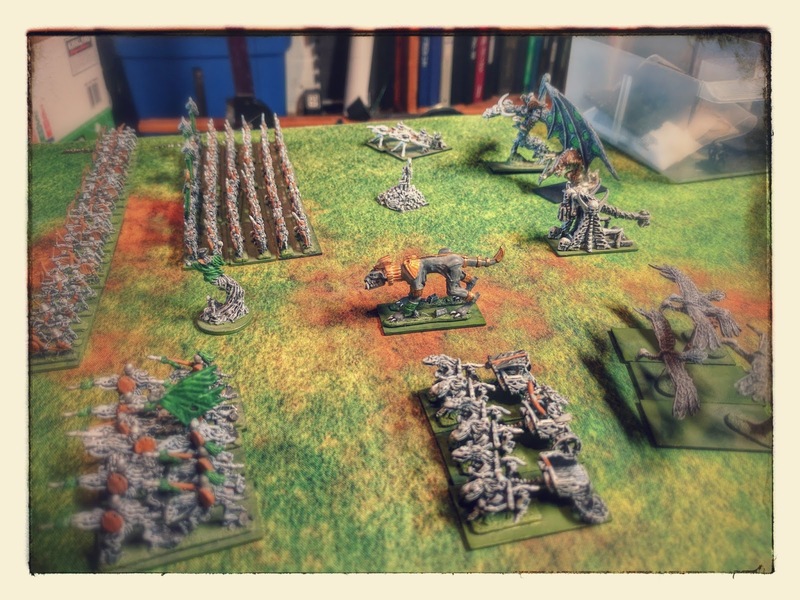 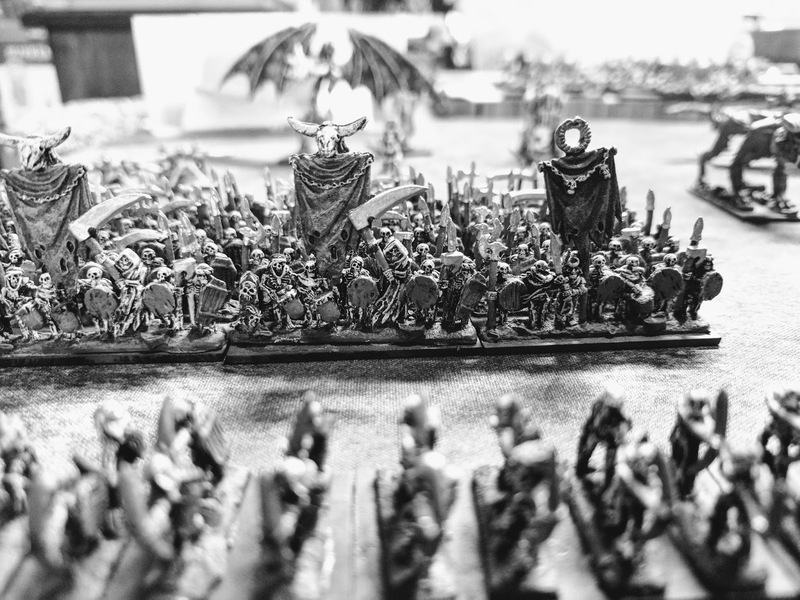 My Warmaster Undead army from the year 2000! 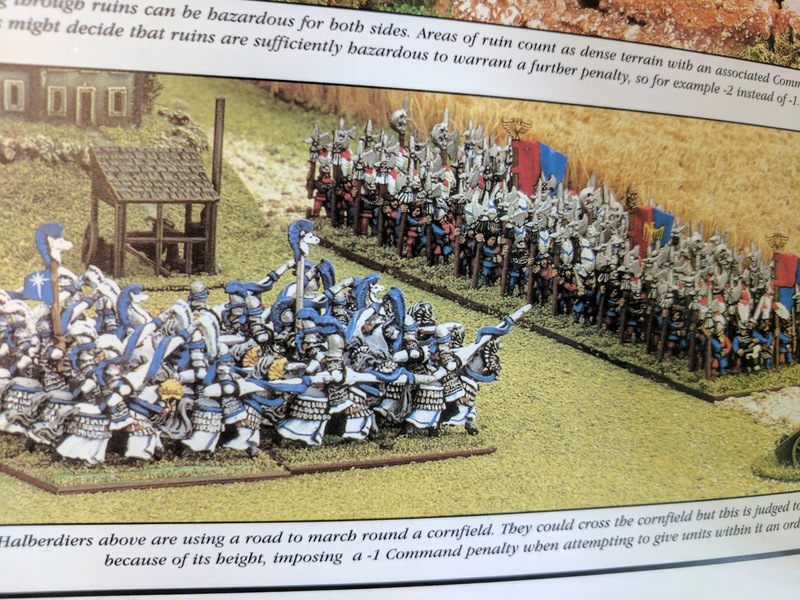 Lastly, here's some good stuff from the March issue of White Dwarf. 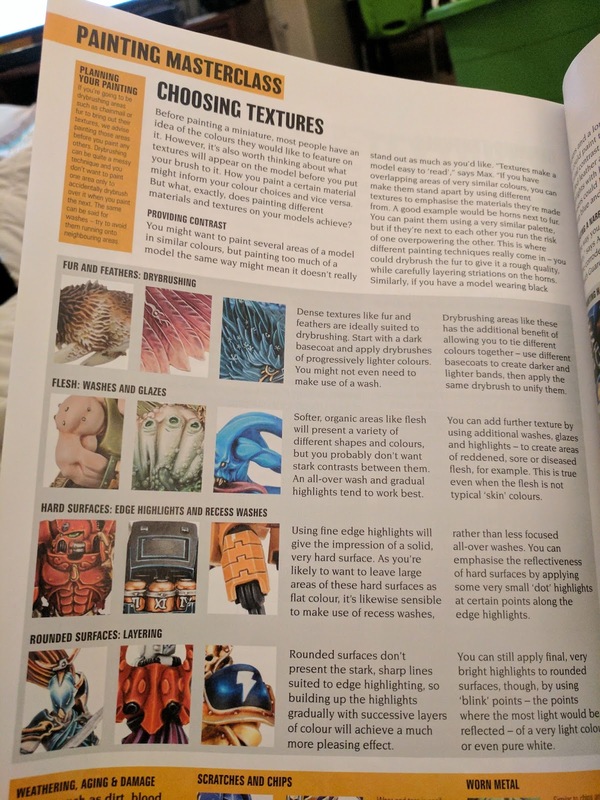 But first I should explain why I found the following pages so useful. Very early in the month, before my WD arrived (grr), I was working on the Dwarf Troll Slayer but discovered I didn't have any orange paint for the beard. 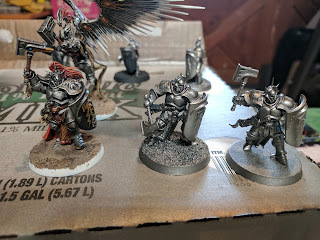 So I decided to mix my own shade from the reds and yellows in my collection -- this was actually a really fun exercise for me as I haven't mixed much of my own paint before, but I did go through many layers trying to get the brightness just right, then trying to darken it, then making it lighter again, etc. 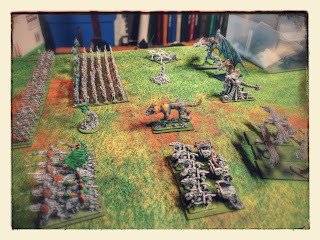 Came out a pretty loud and outrageous orange, which I think fits with the image of a Troll Slayer BB player. 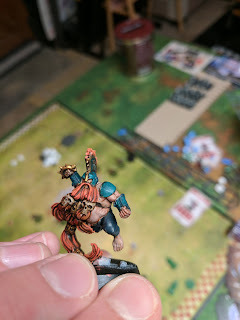 But I still have another huge Slayer beard to paint up along with the 5 remaining players for the team and looking for inspiration on how to make all these beards stand out from each other but still go together. 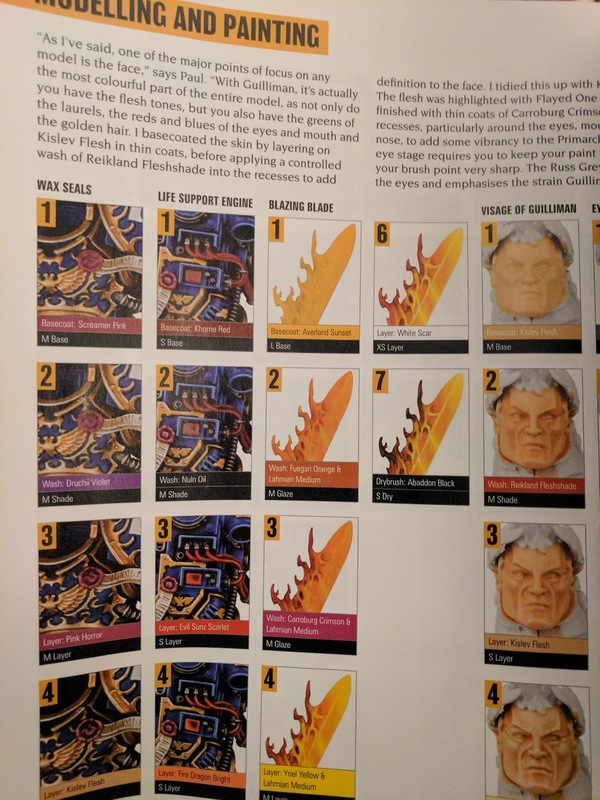 Some awesome shortcuts in there for getting a great range of oranges with a simple yellow base color followed by a couple washes then highlight. I was able to pick up some of these colors this past week and tried out a couple variations; should have some shots up this weekend. I also found this particular section on tips for choosing and painting various textures and weathering really informative and have bookmarked it for future reference. 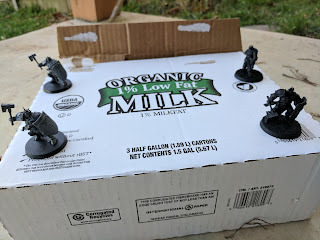 That's it for this installment, till next time!